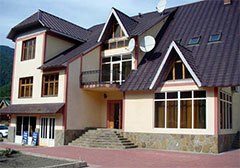 “ ADELVEYS ” hotel is situated in the famous Russian ski resort Krasnaya Polyana. “ADELVEYS” hotel is situated in Esto-Sadok settlement. 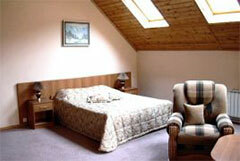 In each room: bath, WC, TV, refrigerator, telephone, air conditioner. 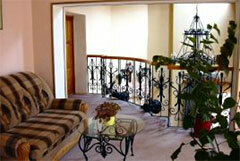 Hotel services: cafe with fireplace hall, sauna, skiing equipment rent, transport. 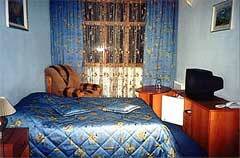 The 3 rd guest accommodation in a double room (BB) costs $30 (adults) and $15 (children).